A magnificent, circa 1930s Art Deco cabinet. 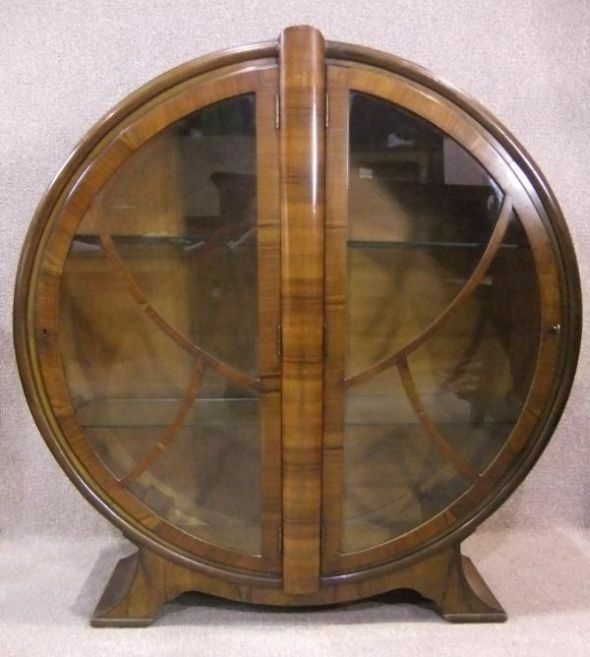 This cabinet features two large glazed doors which open up to reveal two glass shelves. The item still retains its original locks and key, and is in outstanding condition for a piece of furniture of this age. Please be aware that this is an old item, and there will be the odd mark and blemish to the polish work. Ideal for any collector. DELIVERY - £65.00 to England and Wales. For deliveries outside of this area, please contact us for a quote.